Chicken dumplings are an Asian delicacy which are served as starters and appetizers but are equally capable of serving as a main dish for many, like myself! There are probably numerous ways and variations of making chicken dumplings; however the healthiest and tastiest dumplings are supposed to be the forte of the Tibetans. 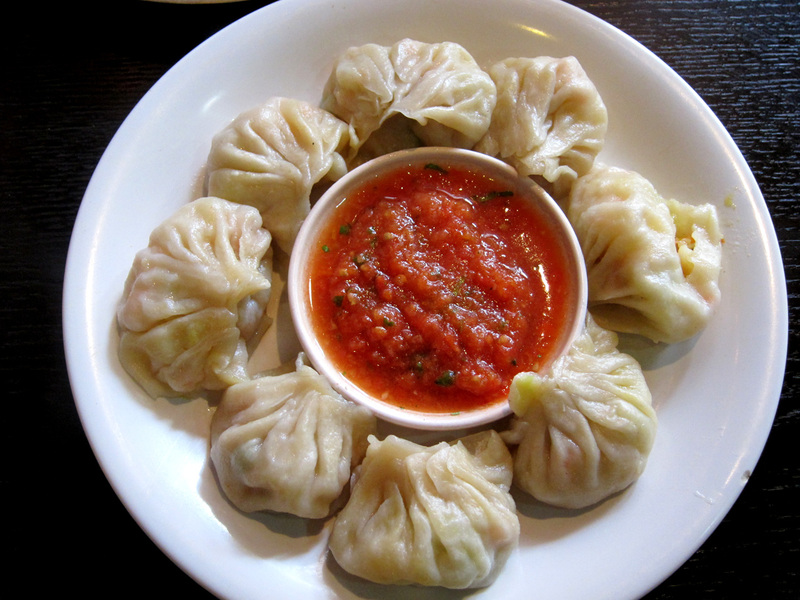 Also known as momos, below is a tasty and yet, very easy to prepare recipe, for dumplings. Mix the minced chicken with chopped onion, ginger, garlic, green chilies coriander and pepper powder. Now add the soya sauce into it. After mixing it thoroughly, keep aside for some time, till you prepare the dough. Mix the refined flour with oil and water and knead properly. Next make small sized 10-15 balls out of the dough and flatten the balls and roll them with a rolling pin till they are about the size of your palm. Now add small portions of the stuffing into the flattened dough pieces and seal the dumplings by pulling on the open sides and sticking them together. You can either make round shaped dumplings or flatten the sides and make a flat dumpling depending upon your preference and skill. Boil water on a deep wok and put the steel vessel with the dumplings inside it to get steamed. Remove the dumplings after steaming for about 20 minutes. For the dip: Although there are innumerable variable of dips one can try with chicken dumplings, what I love best with my momos, is a mixture of tomato and dry red chili. You will need: two medium sized ripe tomatoes and 5-8 red chilies. (Some like to add garlic to their dip, which you can try too, provided you are not meeting anyone later :D) Grind both in a food processor till you get a smooth paste and add some salt to taste and voila, your dip is ready to be enjoyed with some steamy delicious dumplings! Really great post, Thank you for sharing this knowledge. Excellently written article, I really love momos. If only all bloggers offered the same level of content as you, the internet would be a much better place automate lead capture to sale. Please keep it up. Keep posting. Are You Guilty of Emotional Adultery? To be in love....when you are broke! Cinnamon - the health wonder!